Ram already offers an off-road-oriented Power Wagon pickup truck based on its heavy-duty 2500 chassis, and that's no slouch with a 410-horsepower, 6.4-liter Hemi V8. But add a 707-hp Hellcat to the mix and our interest goes through the roof. But is that what we're actually looking at in the spy photos above? 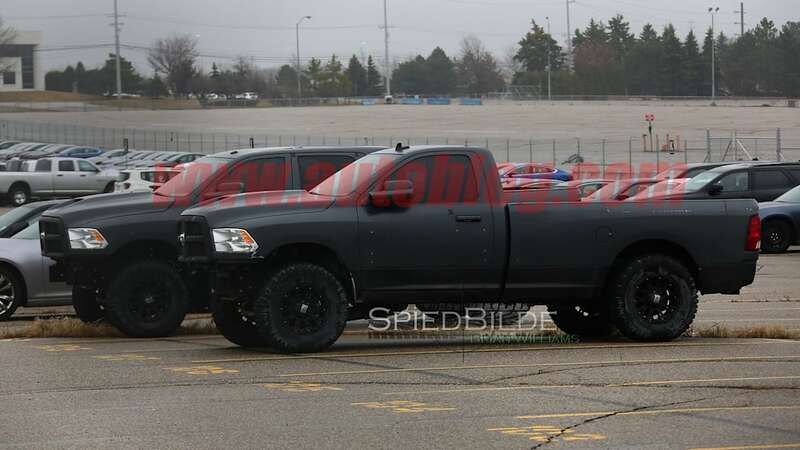 Even a cursory glance at the shots proves these aren't ordinary Ram 2500 trucks. 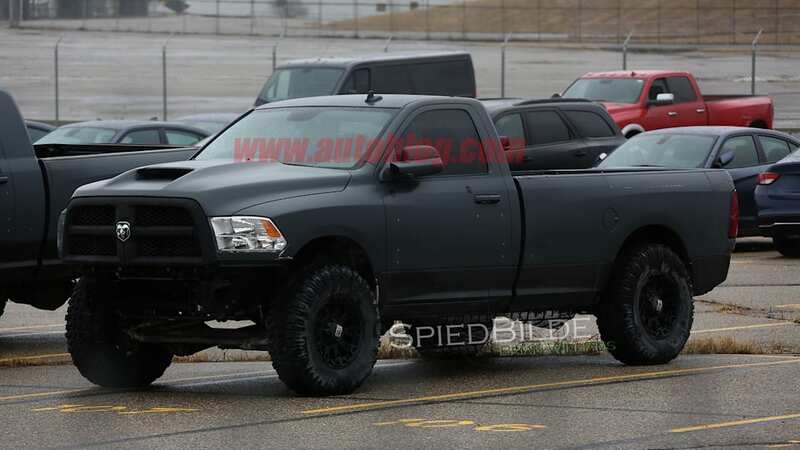 The most obvious visual hint is the big ram-air hood, but we also see a definite lift kit and heavy-duty suspension components underneath. 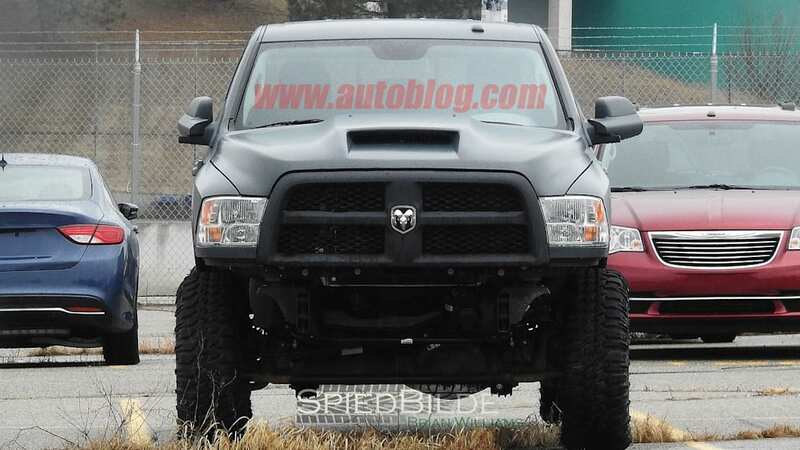 The removal of the front and rear bumpers indicates that these trucks have good approach and departure angles, but it could also mean that whatever is underhood needs major airflow. Notice, too, that the two trucks seen here aren't traditional Crew Cab models, which is how the Power Wagon comes standard. Instead, there's a single cab and a massive Mega Cab sitting side by side. 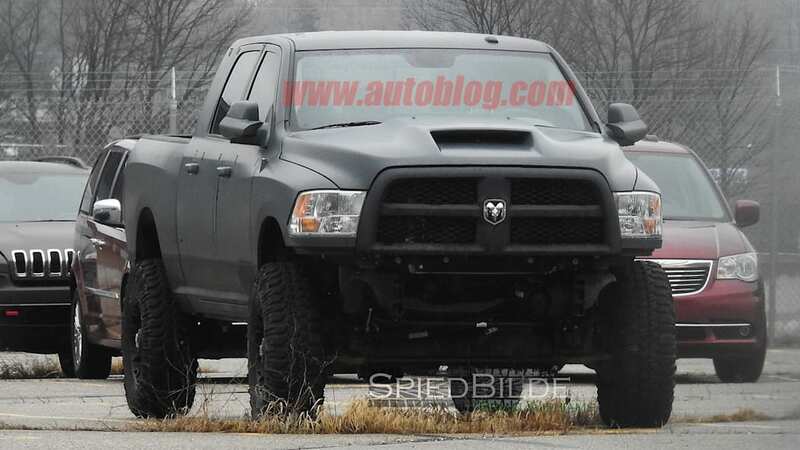 Is Ram going to unleash two new Power Wagon variants? Seems possible. It's really not possible to talk about a potential Ram HD Hellcat pickup truck without mentioning the Ford Raptor. The Blue Oval's SVT division has created one heck of a factory off-road monster, and it's set to get even better for the 2017 model year with an EcoBoost engine and four full-size doors. How could Ram, one of Ford's biggest truck competitors, answer Ford's latest assault? How about a Hellcat! Based on FCA's desire to put a Hellcat engine into anything that can hold it, it wouldn't be shocking to see an overpowered Ram model. And if that does happen, the Power Wagon platform is a great place to start. 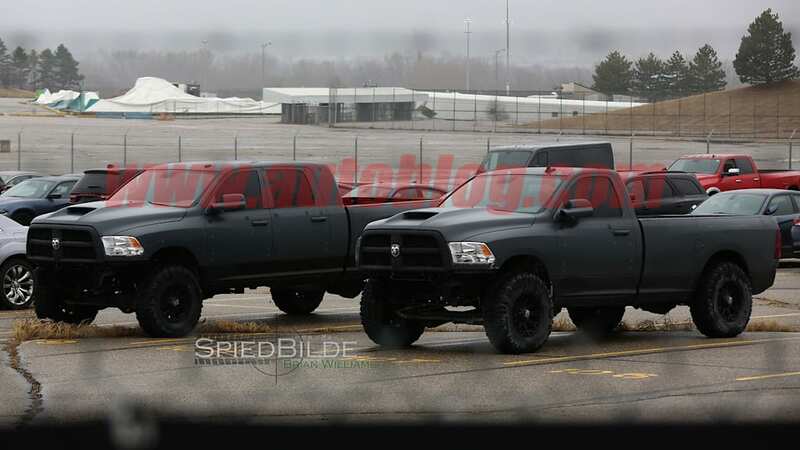 We don't know if that's what we're looking at, or if these trucks are test beds for future parts for the Mopar catalog, but either way we like what we see.